Luciano Spalletti is adamant speculation surrounding the future of key players will not distract Inter during the second half of the season. Inter are ensconced in third ahead of their first Serie A match of 2019 at home to Sassuolo on Saturday. The January transfer market is yet to see any new arrivals at San Siro with new contracts for in-demand pair Mauro Icardi and Milan Skriniar seemingly top of the club's agenda. Spalletti denied the protracted negotiations had a disruptive effect on his squad, but took time to praise long-serving defender Andrea Ranocchia - whose deal expires at the end of the campaign - for a recent Twitter post affirming the "honour" of playing for Inter. 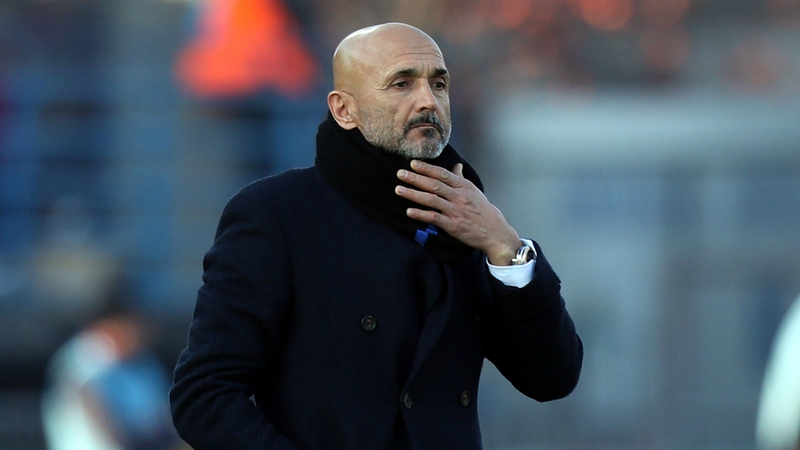 "There's absolutely no confusion within our club," Spalletti told a news conference. "We're right in the middle of the transfer window so we accept all of the names and speculation that comes our way, as it always does. "On social media, those at Inter must be aware that messages are open and are read by everyone. "In this regard, Ranocchia's message during the week was wonderful. He demonstrated that he cares for the good of Inter more than himself." Spalletti confirmed Radja Nainggolan is being closely monitored ahead of the Sassuolo match as he weighs up whether to hand the midfielder a first start since in almost a month. The 30-year-old has battled injury problems since arriving from Roma and was suspended for disciplinary reasons in December. "He's getting back to his best in terms of fitness," the Inter boss said of Nainggolan. "For him to make the difference he needs to be at his best physically. He's sorry that he wasn't at his best during this recent period, but he's now returning to what we all expect him to be and he'll demonstrate this from now until the end of the season."